Etiquette is something every couple will struggle with at some point during their wedding planning. It's important to maintain a balance: getting what you and your spouse want, while keeping guest's feelings in mind. We've gathered the top 10 most common etiquette questions we've received and provided some tips for how to navigate them with ease and limited stress. 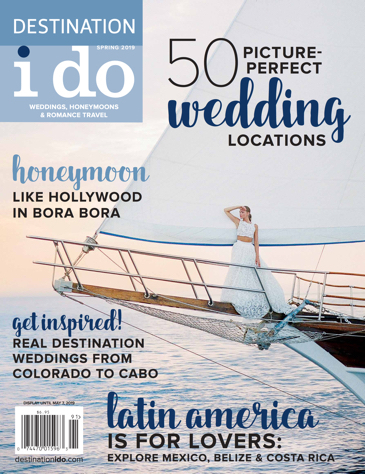 We love helping with the particulars of destination wedding or honeymoon planning, so feel free to contact one of the Destination I Do team members with your questions! 1. 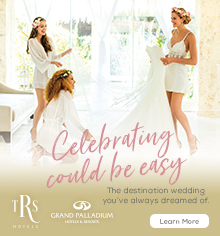 Since we’re doing a destination wedding, is it acceptable to also have other pre-wedding celebrations such as an engagement party, bridal shower and/or bachelorette party? A: Don't feel like you need to limit pre-wedding events. However, keep in mind that the expense of a destination wedding can be a bear on some people’s wallets and if you have several parties on top of that, they may start to really feel the pinch. You know your guests and their life circumstances better than anyone, so consider that when deciding which event(s) to have. Also, make sure your registry allows for some lower priced options for those who want to provide a gift, but are unable to afford higher priced items. You can consider the option of not registering for gifts for the wedding and allowing the guest's presence to be their present. Overall, if friends or family insist on throwing you a shower, don’t fight them over it, but make sure you recognize the entire financial outlay your guests are facing before adding more events to the roster. 2. What is the protocol when tipping vendors at a wedding? • Check your contracts and final bills ahead of time to see if a gratuity was included. You don’t need to double tip – unless of course, you want to. • A trusted, designated person should carry an envelope with cash on the wedding day for unexpected tips. • In general, the owners of businesses do not receive tips. • Guests should not be expected to pay valet parking, coat checks etc. This should be arranged in advance and communicated clearly to your guests. Perhaps include this information in your personal wedding website or through properly placed signage. If you use a wedding planner, they may be the person responsible for dispersing tips on the wedding day. If not, be sure to designate someone to handle this detail for you. 3. How long do I have to write a thank you note if someone has given us a gift? A: Wedding gifts are wonderful, but the task of responding in a timely manner looms heavily on most couples. Ideally you should write them as soon as a gift arrives, but within a month of returning from your honeymoon is certainly acceptable. It is a misconception that you have a year to acknowledge gifts. Guests have up to a year to send their gifts, but your gratitude should be made known as soon as possible. One thing which might make it easier is to print off two sets of labels when you are addressing your invitations. This way, you’ll already have that portion finished, making the process go more swiftly. 4. 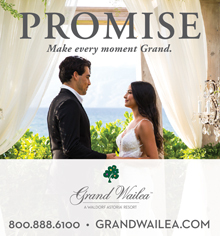 We really want an intimate destination wedding experience, but both of our parents want to invite more of their friends. They are offering to pay for the extra guests and are helping foot the bill for the wedding. Do you have any idea how to handle this situation and keep the peace? 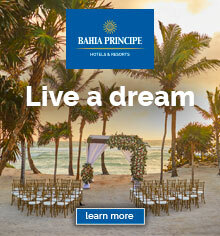 A: Destination weddings, by design, are usually more intimate occasions for the family and closest friends. I would suggest you communicate early in the planning process with both sets of parents about your wishes and suggest they host an ‘at-home reception’ for their circle of friends if they insist on inviting them. Your parents can be the ones in charge of the hometown celebration and include whomever they wish…and your destination wedding event can remain the intimate soiree you desire. 5. How do you handle people who assume they are invited to the wedding? I have a co-worker who immediately asked about dates when she heard I was engaged so she could mark it on her calendar. A: The best way to handle this situation is to communicate immediately that you haven't decided what size wedding it will be. Perhaps explain that you had planned on a smaller guest list with only family and best friends. Explain that by adding work friends, it would put you in a predicament that you'd have to invite everyone and you just don't forsee that happening. Being up front with your communication and kind, hopefully this person will get the hint. 6. We really want to have our wedding at a public beach, but are concerned about noise from passerby’s (noisy phone calls, music, loud conversations) interrupting our ceremony. A: The term ‘public’ makes it difficult for you to try to control the behavior of other people who may be in the area. When you choose to hold your ceremony in a public locale, it is expected there will be curious onlookers and a certain noise level. If you really want a quiet environment, consider a different location such as a hotel/resort that has their own private beach. And request to your guests that they enjoy a "technology-free" ceremony and leave their mobile devices turned off. 7. My soon to be mother-in-law was very outspoken about us having a destination wedding and even went as far as to say we were being selfish. We realized early on that everyone would have to travel to our current hometown anyway, so selecting a destination seemed like a fun way for the family to have a vacation together. I am at a loss as to how to handle this situation. Any suggestions? A: Perhaps you and your fiancé should sit down and have a calm discussion with his parents about the reasons for their objections. Are they concerned about the locale you have chosen; the travel costs for family members; the fact many of their local friends might not be able to attend; or the difficulty for elderly relatives to reach your destination venue? Depending upon circumstances, any of these issues might prohibit certain family or friends from attending your wedding. One solution might be having a destination wedding at your chosen locale for immediate family and the closest of friends, with an at-home reception to include more guests. Another solution might be choosing a destination which is accessible to more people. For example, if you want a beach wedding, host it in California instead of Hawaii so more guests can attend. Communication with all immediate family members early in the planning stages about your destination plans can prevent discord later on. 8. My fiancé and I have decided on Mexico for our destination wedding. Unfortunately, our older relatives are concerned about our choice and telling us that it is unsafe. There are currently no travel warnings being issued and I have never experienced a safety issue during my vacations there. I want my relatives to come, but my heart is set on Mexico. What should I do? A: If your heart is set on Mexico and older relatives do not want to attend, you might choose to have a very small, intimate ceremony at your destination and choose the at-home reception option for family unable or unwilling to travel. If relatives are reluctant and grumbling, it can create a negative atmosphere at your celebration. However, perhaps you could suggest that they ask others who have recently visited Mexico what their experience was like. Sometimes all it takes is a second opinion and they will come around to the idea. Truth be told, we've been to Mexico more times than we can count and have NEVER had an issue. The only thing they will experience are incredibly friendly, warm and welcoming people, amazing food and beautiful backdrops! 9. How do I tactfully avoid inviting children to my destination wedding? A: Depending on where your wedding will take place, you may consider an appropriate age cut-off based on the location and style of wedding you are having. Make sure to communicate well in advance if you’ll be including children (or not) so guests can plan ahead. While you may want to pick and choose, if you include some children on the invitations, all children of your guests should be included. The exception to this would be children participating in the wedding. If you do invite those who have children, make sure to offer or at least research licenced childcare they can use during your celebration. 10. I am having concerns about the extra travel expenses for my attendants. What exactly should I pay for and what should the wedding party be responsible for? A: Participating in any wedding is an expensive endeavor these days! Etiquette generally requires attendants to pay for their own clothing, accessories, hair and makeup, travel, lodging, wedding and shower gifts. It is also customary for the maid of honor or bridesmaids to host a shower or bachelorette party. • Negotiating group discounts on airfare and lodging. • Pay for the accommodations if it is in your budget (renting a large beach home for you and all your guests and having the wedding there, might be a good way to tie-in the entire event). • Make affordable choices on dresses and accessories, or give them to your attendants as a gift. • Ask that they not give you a gift for the wedding and let them know that their presence is their present to you. Oh, the blurred boundaries of finances in current wedding planning! Have you ever encountered a wedding situation that had eyebrows raised, tongues clucking or fingers wagging? Tipping is a method for expressing your appreciation for a job well done. When planning your wedding budget, it will be important to include gratuities in your calculations. Common questions about Thank You note etiquette - answered! 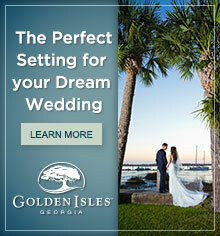 Destination weddings, by nature, are not always kid friendly events. How you handle the communication is key from the start.